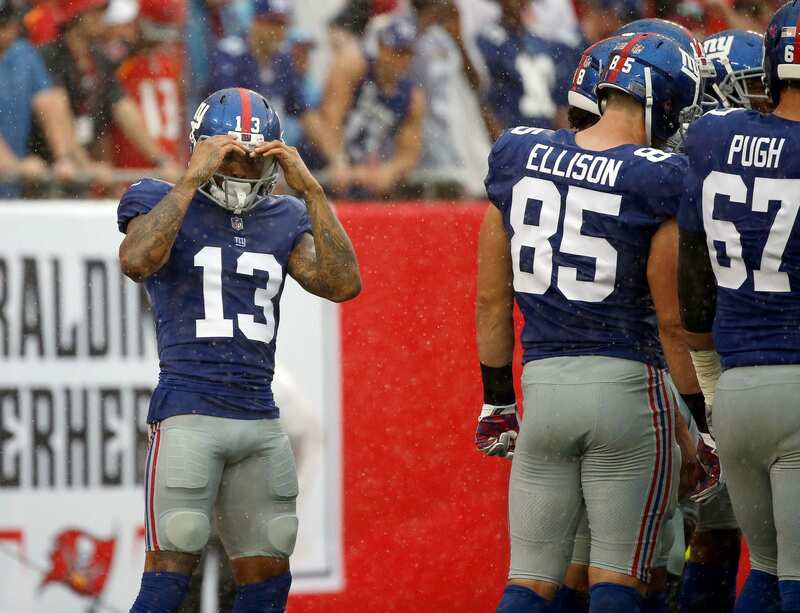 Home New York Giants New York Giants: How Much Should Odell Beckham Jr. Actually Be Paid? Let’s get this out of the way first and foremost; Odell Beckham Jr. is not receiving $20 million per-year from the New York Giants. That’s an extremely high number for a player who has been injury prone throughout his career and is coming off a broken ankle. But, in lieu of his injury, Beckham Jr. should be paid his worth. The question is: What exactly is his worth? As a player that has shattered several NFL records and recorded 4,442 yards in virtually three complete seasons, he is worth a boat load of cash. Additionally, he has racked up 38 career touchdowns. What’s his worth compared to other receivers? At the top of the list is Pittsburgh receiver Antonio Brown, who has compiled 6,349 yards in the last four-seasons, along with 44 total touchdowns. That’s nearly 2,000 more yards than OBJ… And it also shows Brown’s ability to to stay healthy throughout the season. So, from looking at these stats, we can easily determine that OBJ doesn’t deserve to be paid more than Brown, but maybe the same. As the salary cap increases every season, it also increases the value of players and how much money teams can spend. By comparing Beckham JR.’s stats to Browns’, we can say that they deserve to be paid about the same when incorporating the increase in market value for the Giants wide receiver. Another interesting point to make is: Can we trust Beckham Jr. to return as the same player he was ‘before’ his ankle injury? I think the Giants should franchise tag him and find out. Potential long-term deal: 5-years, $85 million ($55 million guaranteed). You’re going to have to pay him more than Brown. So the offer might initially be $17 per with $55 guaranteed. After negotiation, let’s say $18 per (6 years) = $108; $50 Mil guaranteed. Let’s see him (advised by his agent) skip OTAs with that offer. Although maybe it’s better if he does skip OTAs and training camp (we know he will work out tirelessly by himself). Man if we offer him 108 I’d be surprised. I dont know if I want to give him 6 years, it seems too long to me. His injury history scares me tbh. He will definitely get 50-55 mill guaranteed.